Well, I made it but barely! What a great time we had at the Sault Blues Festival, with some unbelievable musicians coming in to make it a truly awesome event. Can't wait for next year! If you've been thinking about starting one of these societies in your area, I highly recommend it! Give me a little space baby! 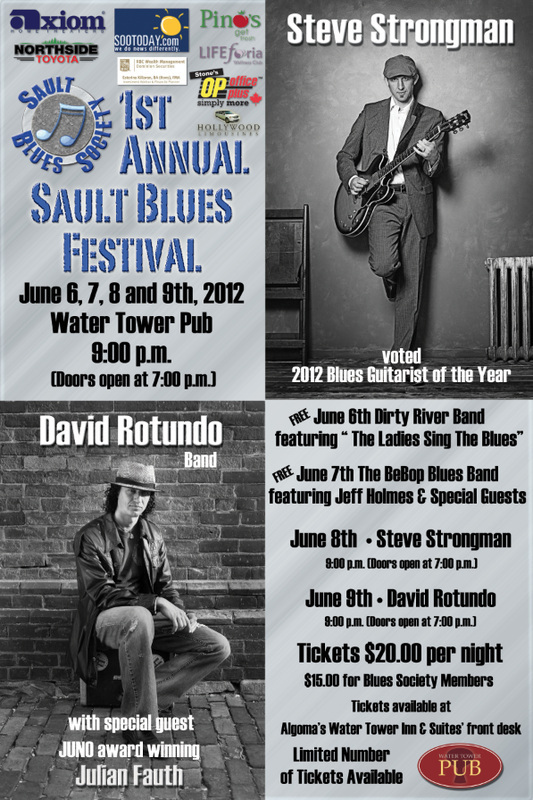 1st Annual Sault Blues Festival was great! Thanks again to Brent and Axiom for donating the outdoor speakers.